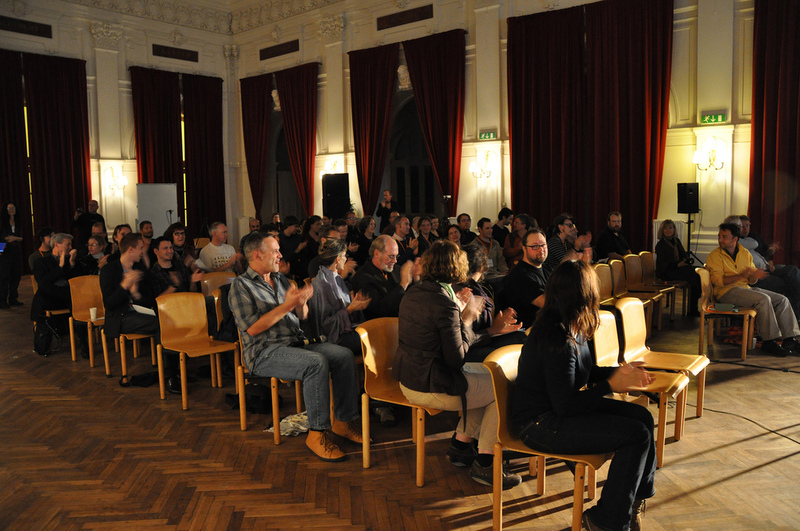 Film maker Theo Lipfert’s Beneath the Surface (premiered in Vienna at KISS2010) has been selected for performance at SEAMUS in January 20-22 2011 in Miami. The film, featuring processed video taken from a camera that was thrown out into the ocean and gradually washed ashore by the waves, has a live Kyma-generated sound track consisting of crisply processed watery sounds recorded by the camera and randomly-selected, processed phrases of 13 year-olds recounting their vivid and sometimes disturbing dreams (beneath the surface in more ways than one! ), mixed and spatialized live using Kyma Control on an Apple iPad. Beneath the Surface from Theo Lipfert on Vimeo. Engines of…, Scott Miller‘s composition for string orchestra and Kyma-generated fixed-media, will also be performed at the SEAMUS conference. Engines of… was commissioned and premiered by the Maplegrove High School orchestra in 2006. Sharing a paper session are two composers who will be re-presenting their contributions from KISS2010 on the theme ‘symbolic sound’: “Constructing Realities: Nelson Goodman’s Theory of Symbol Systems and Electroacoustic Music” by Scott Miller and Steve Everett’s, “Auditory Roughness and Ecological Listening in Electro-Acoustic Music”. Last year’s SEAMUS2010 also featured several Kyma pieces as well as a pre-conference day-long Kyma Seminar, described in the Allegro Newsletter. A team of mechanical engineers at the University of Illinois has developed an ‘acoustic cloak‘ that can bend sound waves. Designed for frequencies in the 40 to 80 kHz range, the device is intended for cloaking objects from ultrasound or sonar detectors which begs the question: Could a larger-scale version of the device be used for reducing noise in a studio? 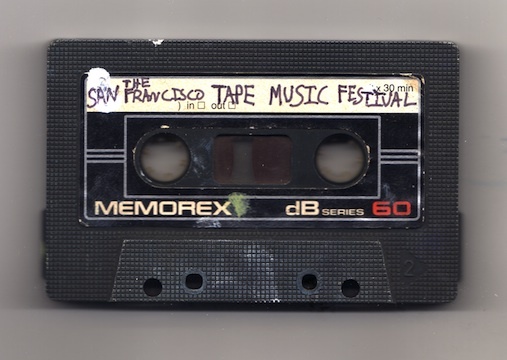 Surround yourself with 16+ speakers at the San Francisco Tape Music Festival, during three concerts of new and classic fixed-media compositions by 20 composers. This year’s event features Jonty Harrison, the British composer and pioneer of surround-sound diffusion and a performance of Crossings by composer/videographer Silvia Matheus. Scott Miller is one of thirty Minnesota composers featured on a new double-CD from Innova entitled Here and Now, a recording in honor of St Paul-based new music ensemble Zeitgeist‘s 30th anniversary. Produced, mixed and edited by Scott Miller and Pat O’Keefe, Here and Now will be celebrated by a three-day CD-Release Party at Studio Z at 7:30 pm, January 6-8 2011.